The X7.1 is an updated version of the X7 coffee machine. Once again Italian architect Luca Trazzi’s designs another FrancisFrancis coffee machine - the X7.1. Using iperEspresso coffee capsules the X7.1 is easy to operation, with one touch of a button you're on your way to a perfect espresso. 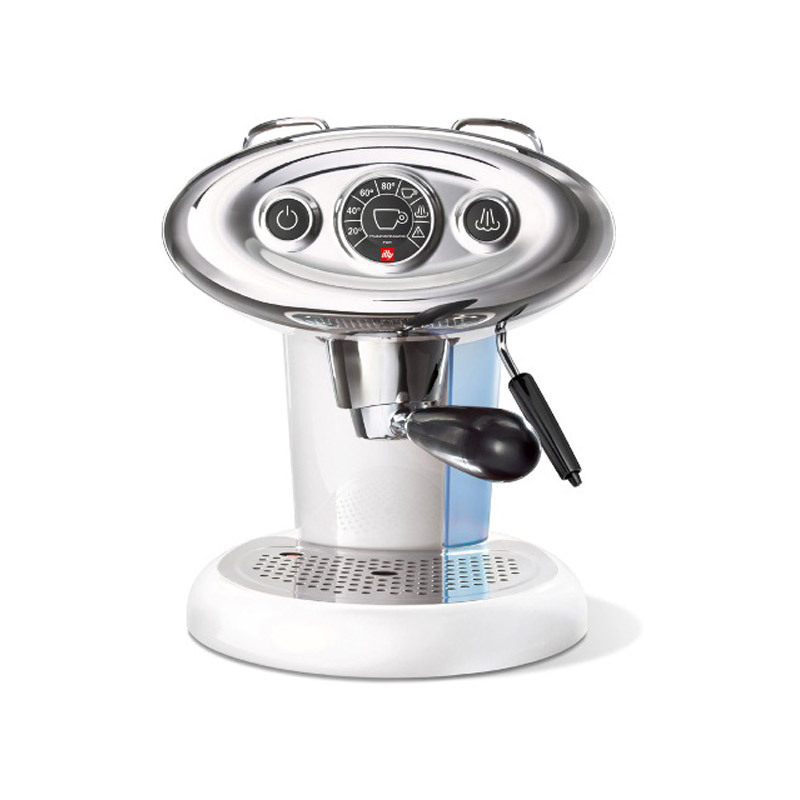 Insert an Iperespresso capsule into the X7.1’s handle and in less than 30 seconds, enjoy authentic Italian espresso - full-bodied, balanced, café-quality coffee. The capsule system ensures that every shot is the same - perfect! A built-in, professional pannarello steaming wand puts silky, frothy cappuccino right at your fingertips. The capsule system ensures that ground coffee never comes into contact with machine, therefore cleaning and maintenance are minimal - more time for you to enjoy great coffee! CLICK HERE FOR X7.1 PRODUCT VIDEO. Please note that this is a capsule machine only and will not take ESE pods or ground coffee. 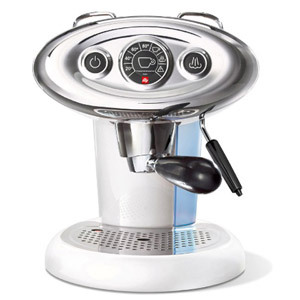 Includes a 14 capsule can of classic standard illy iperEspresso capsules. Price includes delivery to UK mainland. Mouse over image for zoom and click for larger photo.